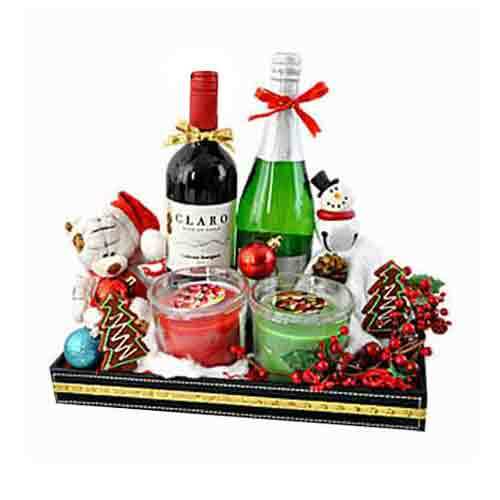 Description: Console someone feeling low by sending him/her this Toasty Drinks with Candles for X-Mas which instantly lifts up the mood. 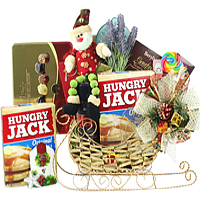 This impressive Christmas Hamper for everyone features following items like Claro Cabernet Sauvignon Chilean 2017, Dryck Bubble Paron Sparking Pear Drink (Net Cont.- 750ml), Sinnlig Scented Candle in Glass - Sweet Strawberry 40 Hours Delight, Sinnlig Scented Candle in Glass - Fruity Apple Pear 40 Hours Delight and 2 pc of Homemade Kroft Assorted Gingerbread. 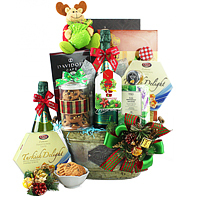 Present to your beloved this Magical Esteemed Ensemble of Flowers and create magical moments to cherish forever. Bring the beauty of the season into someone�s home with these lovely combinations of Gerberas, Berries and Carnation Sprays exhibited in a Basket. 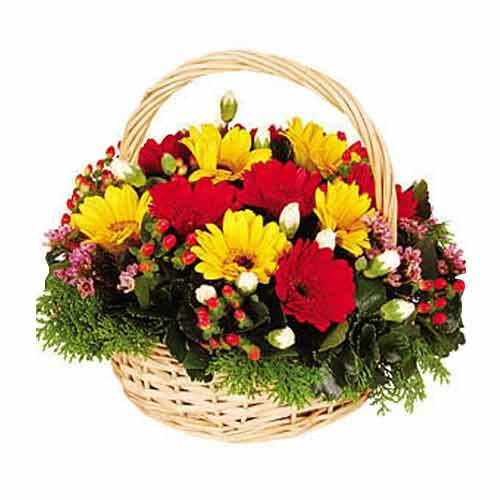 Perfect for any celebration, this Stunning Splash of Happiness Bunch will fetch you appraisal. 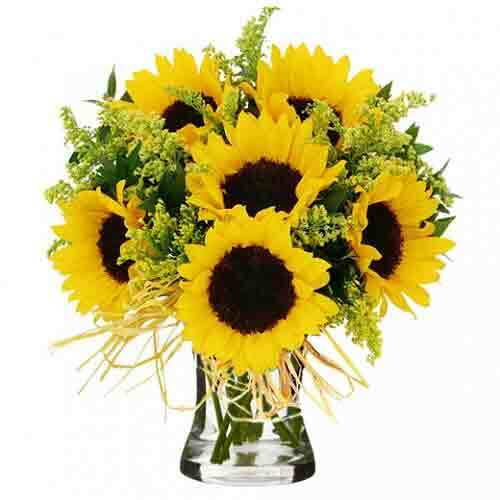 To make an Exceptional Flowers Bouquet we have chosen Six Stalks of Sunflowers, Yellow Peacock and Ruscus Leaves.